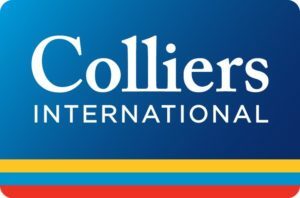 All of the below information comes directly from job reviews written by Colliers International employees based on 18 reviews. Try to get as much work experience as possible. Point out any extra-curricular activities you do. Read as much property-related news as possible. Try to relate anything happening in the news to property. Be confident, ask questions, don't be afraid to learn. You have to be able to talk to people and engage them. Ask questions to your interviewer. An interview is a two way process, to see if the company like you and if you like the company. • Ensure you have sufficient technical knowledge e.g. valuation techniques, current market trends etc. • Current affairs and how they could affect the property market. • Make sure your enthusiasm comes across in the application and interviews. do lots of work experience to decide if it's for you/talk about in interviews. work experience and skills you learnt/achievements are very important. Learn about the company and principles, show desire for the role, explain how your knowledge makes you fit for the role. Be professional but relaxed. Questions varied from being able to show knowledge to showing some personality. The best advice I will give a candidate is to be themselves. The best interview advice I can give is to have a read through your university notes as you will be asked questions on some aspects of these. You also have to present so be prepared for this. Have experience in the surveying world, know why you want to have a career in property and the know specifics of the company you're applying to - don't just read the front page of their website! "Why do you want to work for us and not x?" Desktop research: Colliers website, property websites. Get to know the company (and people in it) if you get through to assessment centre. Sets you up very well for final day interviews. Use examples to explain every point you make. Ensure you demonstrate awareness of the company's performance, major instructions etc. Know you CV inside and out. Practice GCSE level maths questions eg long multiplication and division, fractions, decimals and percentages etc. Be confident but not too outspoken. Ensure you contribute to group discussions. Prepare questions to ask interviewers beforehand. Know your industry and the company as well as you can. Be honest, passionate and grounded. Learn the property market from where you're applying to. Confidence is either competence, or arrogance. Work hard, read and listen, to make sure confidence comes from being competent. Unlike many other big firms they are not looking for carbon copy standard issue grads. Graduates are so varied in background, skills and personality so don't try and be something you're not. All aspects of your work experience are important. Don't be afraid to mention you ran a student bar or worked in a shop - this is all transferrable experience and skills and gives a better idea of the sort of person you are. Just make sure you can extract the useful aspects and justify. e.g. working in a shop gave you a strong idea of occupier's needs in retail and consumer patterns etc. There are also occasional non-rotational roles based on a team's specific needs. These are sometimes advertised but also sometimes speculative so show initiative and get in touch with HR or a team you are interested in. Research as much as possible about press coverage and instructions Colliers are working on. Interview questions can be quite technical so have a base knowledge of economy/finance. Even if you are yet to know the technicalities of property service - these are basic things that show you are well-rounded. preparation is key to success, know your market and most importantly yourself and your CV. Speak confidently and keep eye contact. Don't talk about anything you haven't actually been involved in. Find a similarity with the person interviewing.